Quite recently Sequart have announced the publication of Greg Carpenter's new book, 'The British Invasion: Alan Moore, Neil Gaiman, Grant Morrison, and the Invention of the Modern Comic Book Writer'. Basically, this 490 page account tells the tale of how three men from the UK essentially revolutionized an american art-form. 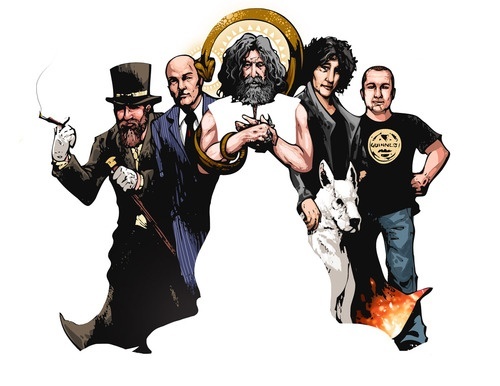 Despite each man coming from a different region of the UK, namely, Northampton, West Sussex, and Glasgow respectively, bringing along with them different dialects and different accents, individually, Alan Moore, Neil Gaiman, and Grant Morrison gave American comics a brand new voice -- one which is loud and clear enough to speak to the Postmodern world. Like a triple-helix derived from some advanced form of DNA, collectively their careers have remained irrevocably intertwined. Conceptually they go together like Moe, Larry, and Curly, or alternatively, the Beatles, the Stones, and the Who, and as most of us know, each of these creators have devised such grand opuses as The Sandman, The Watchmen, as well as The Invisibles. Their professional histories have provided the world with an incomplete picture of the British Comic Book Invasion, whilst redefining the concept of what it means to be a comic book writer. Conjointly, their story is arguably the most important one of the modern comic book era. 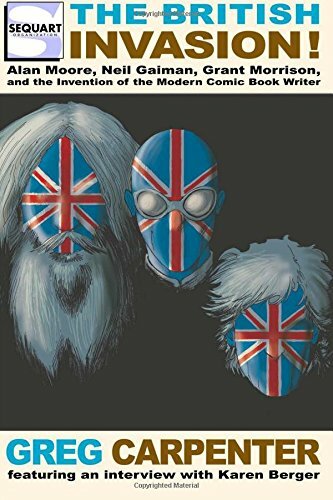 The British Invasion: Alan Moore, Neil Gaiman, Grant Morrison, and the Invention of the Modern Comic Book Writer is 492 pages long, thus making it the longest book Sequart has published to date. It features an interview with the legendary Karen Berger (who spearheaded the British Invasion at DC Comics), and it sports a fun parody of the “Meet the Beatles!” cover by Kevin Colden. It's now available to buy in print and on Kindle. But please note: you don’t need a Kindle device to read Kindle-formatted books; you can download a free Kindle reader for most computers, phones, and tablets. For more information please click on the book’s official page.